GOV: WE ARE SURROUNDED BY THREATS AND BY FEAR……. – The Tundra Tabloids……. GOV: WE ARE SURROUNDED BY THREATS AND BY FEAR……. With yesterday’s arrest by Finnish Security Police of two tards posing as asylum seekers, who were complicit in the murder/execution of 11 unarmed air force cadets in Tikrit Iraq in 2014, yes, people have justifiable fears over what the loon Left and our politicians are doing to us. Of the member states of the European Union, the nations of the former East Bloc are the most sensible and politically incorrect on the topic of immigration. And this is true of those nations that were not even nations, but Soviet Socialist Republics, from 1940 to 1991 — Estonia, Latvia, and Lithuania, among others. The following article from Tages-Anzeiger features a Latvian theater director who doesn’t subscribe to the PC zeitgeist concerning the open-borders attitudes of Western Europeans. 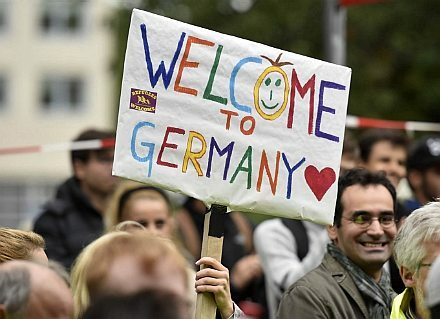 The German variant is known as Willkommenskultur, whose detractors use the word to mean, roughly, “bleeding-heart liberal migrant-loving madness”. Apparently Alvis Hermanis’ letter to the Tages-Anzeiger has made waves. He is now being accused of being a racist bigot. Arif Pirincci knows all about that. 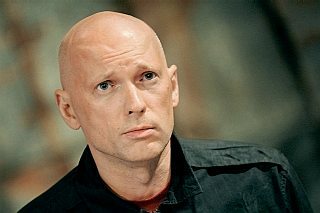 The Latvian theater director Alvis Hermanis doesn’t want to produce in Hamburg — as a protest against the German Willkommenskultur. Previous Post Previous Post ISLAM’S WORLD CONTRIBUTION IN PICTURES……. Next Post Next Post SONIA BAILLEY EXPLAINS AT GOV ISLAM’S “DOUBLE JIHAD” PRONGUE BEING WAGED AGAINST US…….